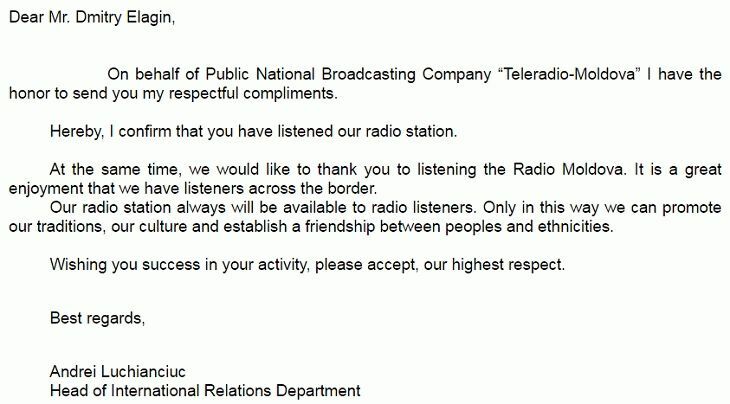 On behalf of Public National Broadcasting Company “Teleradio-Moldova” I have the honor to send you my respectful compliments. Hereby, I confirm that you have listened our radio station. 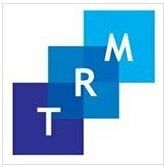 At the same time, we would like to thank you to listening the Radio Moldova. It is a great enjoyment that we have listeners across the border. Our radio station always will be available to radio listeners. Only in this way we can promote our traditions, our culture and establish a friendship between peoples and ethnicities. Wishing you success in your activity, please accept, our highest respect. Рапорт был отправлен несколько раз на множество адресов станции. Но ответ был получен только от Andrei Luchianciuc. Станция видимо не имеет полноценных карточек.